Aberconwy hosted the Area 5 Quiz on March 17th in Eglwysbach village hall. It was a very exciting afternoon as the points were so close. Running totals were given out after every few rounds which added to the atmosphere. Thank you to Aberconwy Committee and to the scorers who produced the final results very quickly inspite of having to do a recount because the points were so close. There were nine teams forward. 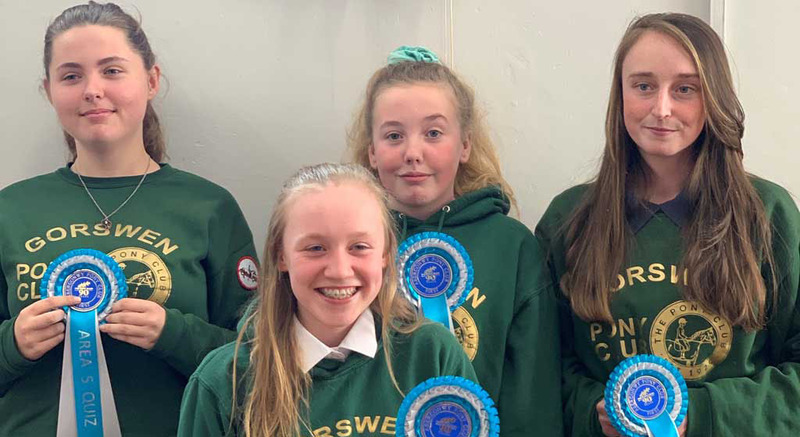 The highest points of the afternoon went to Gorswen A team with 172 and they will go on to the Championships in Addington. The Gorswen B team were 2nd Centre team with 153 points. The highest placed Branch team was Anglesey with 166 points and they will go to Addington too. 2nd were East Cheshire A team with 165 points. Equal 3rd were East Cheshire B and Berwyn and Dee A team. Well done to all for supporting the Quiz and a special well done to Dwyfor for raising a team when they have less than 20 members ! Good Luck to the qualifying teams when they get to the Champs.